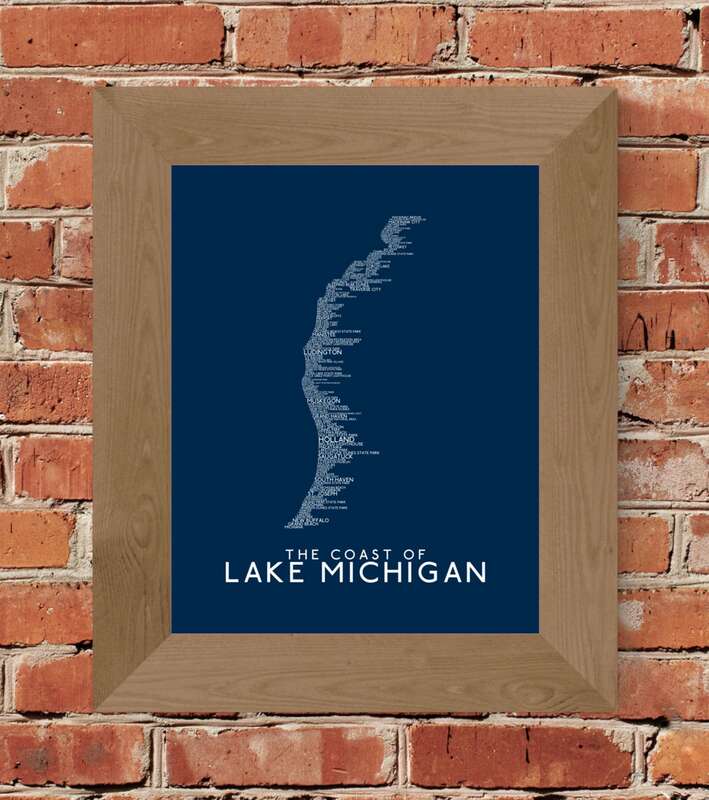 Whether you are a native of Michigan's Lake Michigan Coast or you just enjoy spending your weekends on this gorgeous stretch of water, then this print is for you! 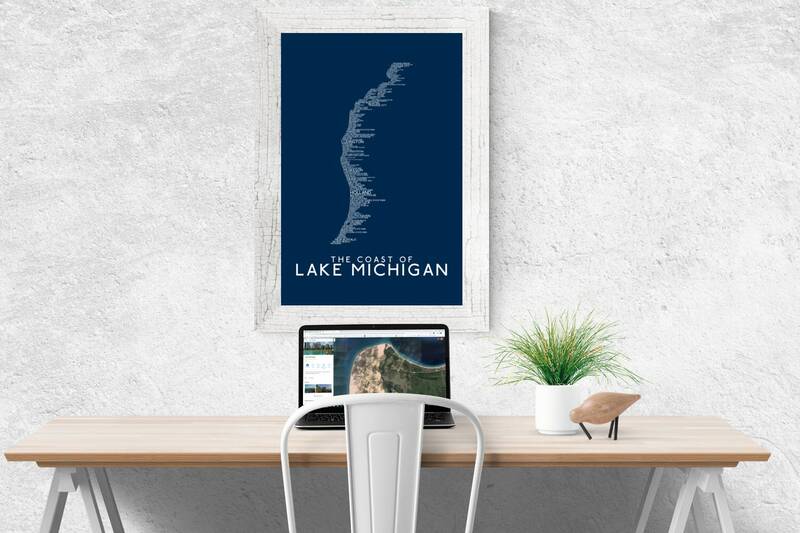 This print has got it all, from the Sleeping Bear Dunes on down to Holland and everything in between, above, below, and beyond. Even the UP is included. 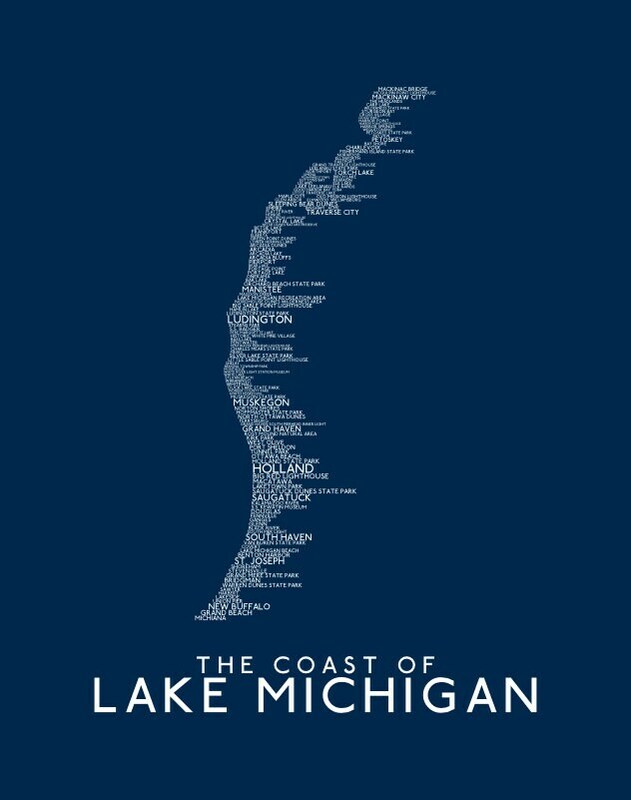 It's a perfect addition to anyone who takes pride in one of Michigan's finest stretches of Coastline! 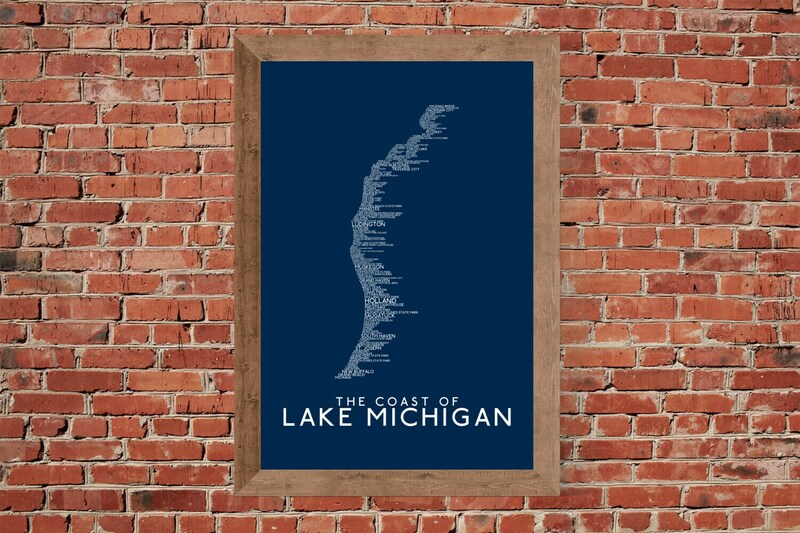 All your favorite places get a nod in this great dark blue print of the Lake Michigan Coastline!